This popular character of Star Wars universe was inspired by George Lucas’ big hairy Alaskan malamute called Indiana. Lucas said Indiana would always seat in a car’s front seat as a copilot and people would actually confuse the dog with a big hairy person. This theory explains a lot. Name Chewbacca is based on a Russian word „Sobaka“ (собака) meaning „dog“. Chewie’s voice is a combination of walruses, lions, camels, bears, rabbits, tigers and badgers mixed with postproduction effects. He speaks Shyriiwook, which is the official Wookie language. Chewie’s resume is filled with experience. It’s because in Episode IV: A New Hope he was already 200 years old! 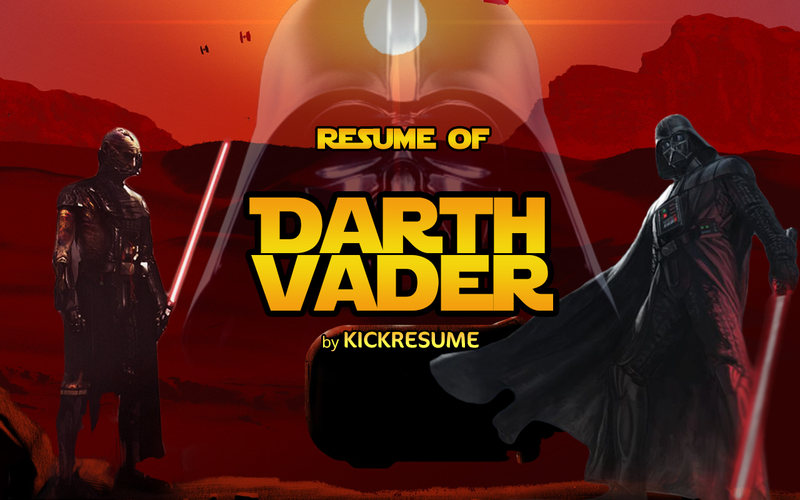 We will say no more, here is Chewbacca’s resume, which speaks for itself. 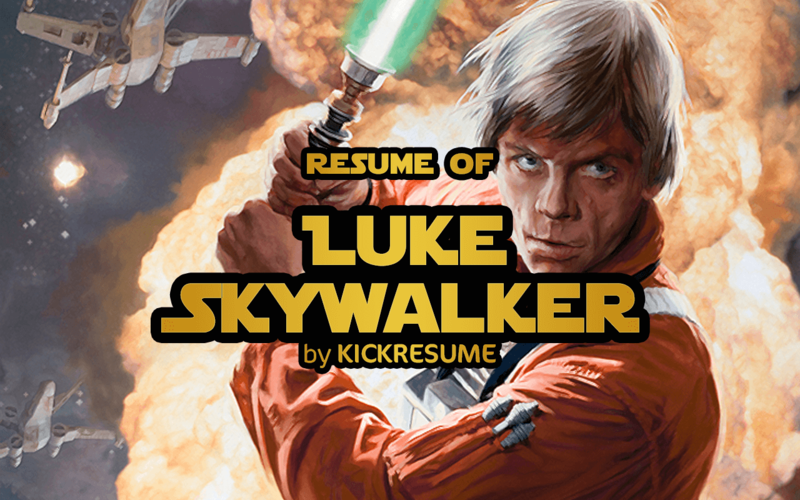 Here is The Resume of Luke Skywalker. Would you hire him?